As a periodontist, Dr. Trujillo’s specialization is unique and makes him more qualified than most dentists in treating gum disease. Sadly, if not treated, even minor issues such as gingivitis can lead to even more serious problems and loss of teeth. It is a rather common but serious condition that can affect not only your oral health, but your overall health as well. Dr. Trujillo can work with you to stop the progression of gum disease in mild and even advanced cases. His goals are to treat a gingivitis infection, save teeth, and restore the natural function and look of your smile. There are two types of diseases that need to be understood if you wish to know more about gum disease. The first is known by many, Gingivitis, and the second is Periodontal Disease. Gingivitis is a disease that only affects the gums and is typically inflammation of your gums caused by plaque. Plaque is the whitish/yellow, soft, sticky substance that sticks to your teeth. It is a buildup of bacteria, saliva, and bits of food combined together in your mouth. If you aren’t brushing and flossing daily, gingivitis can form in your mouth. It is one of the most common diseases in the world and if left to fester in your mouth, it can lead to the second form of gum disease, Periodontal Disease. Periodontal Disease is defined as a progression from gingivitis to an irreversible damaged state. It’s very serious and doesn’t only affect the gums like gingivitis in this state but also affects the ligaments and bones around the tooth. Once these ligaments and bone are lost, they cannot grow back. Once one tooth is affected, it can grow to other areas of the mouth if left untreated. The progression of periodontal disease increases if you stop brushing, grind your teeth, use tobacco, or do not have regular dentist visits. It’s important to be fully informed when it comes to the affects of gum disease and your overall health. Dr. Trujillo is one of the best dentists to offer gum disease treatment in Phoenix and the surrounding area. It’s okay to feel embarrassed or ashamed if your gums are not at optimal health, there are ways to treat your gums. Most gum disease is treated with what is called scaling and root planning. It is more often called a deep cleaning which requires some dental anesthesia and a mechanical process to remove the plaque and tartar surrounding the affected tooth. This plaque and calcified tartar is almost impossible to remove with normal brushing and flossing at home because it is in such a deep part of the gum pocket. After the initial deep cleaning, a maintenance schedule is required for you to come see Dr. Trujillo in addition to the standard six month checkup. Gum Disease needs to be carefully monitored and controlled throughout your life if you want to have a healthy and happy smile. Special precautions and additional checkups will be needed to counteract gum disease that easily can become active again. Arizona Periodontal Group and Dr. Trujillo are here to help you with treating gum disease or any other dental service that you might need. 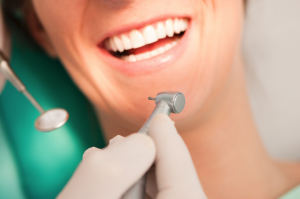 Even if it is a standard dental cleaning, we are happy to schedule an appointment with you. Contact us today with any questions.